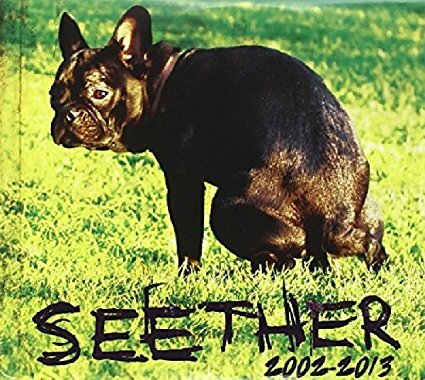 The South African band Seether had success in the post grunge era partially because they sound a lot like Nirvana. The 2007 single Fake It is probably their biggest hit to date. The band was formed in 1999 in Pretoria, South Africa as Saron Gas with lead singer and guitarist Shaun Morgan, bassist Dale Stewart and drummer Dave Cohoe. Morgan has acknowledged Nirvana as a major influence. They released an album on a local label that got enough attention that Wind-Up Records signed them. Wind-Up wanted a name change and Seether was chosen. They moved to the US in 2002. The album Disclaimer was released in 2002 followed by Disclaimer II in 2004. They got airplay on alternative rock radio and they toured with Evanescence. A rerecording of the song Broken featuring Evanescence lead singer Amy Lee reached #20 on the Billboard Hot 100. Seether recorded with Amy because Wind-Up requested it. They weren't crazy about doing it but it did help them. Fake It is from the 2007 CD Finding Beauty In Negative Spaces. It topped the Alternative and Mainstream Rock charts which is why it's a slightly bigger hit than Broken. It certainly sounds like Nirvana. Since then, Seether continues to record and tour. They left Wind-Up in 2011. This 2CD budget comp is a good intro to their music. Their latest CD Poison The Parish was released in May on Canine Riot with Concord distribution. Seether is currently touring to support it. Here's the video for Fake It by Seether.